Some people sit back and watch the world go by. Others jump in feet first, taking the reins and charting their own course. Andreen McDonald definitely falls into the second category. “I like to get things done,” she explains. The owner/manager of Starlight Homes Assisted Living, McDonald operates two locations serving 28 patients in San Antonio. From operations and human resources to marketing, she is responsible for everything, all while providing a warm, loving environment to the residents. Tackling tasks, juggling roles and keeping everyone happy is something McDonald enjoys. Her residents range in age from 56 to 100 years young, and there’s nothing that gives her more joy than seeing them happy. “Coming in and seeing smiles on everyone’s faces, I know I’m doing something good. The fact that I can have a family member come in and commend me on the job that we do here, that their mom/dad is doing better — I like that recognition. It drives me to do better,” she says. Drive is something McDonald is definitely not lacking. She’s known for her competitive streak, which comes out when she sees a challenge. “I like to win. I see everything as a competition. Not being able to overcome a challenge would be like losing. And that’s not acceptable,” she explains with a determined smile. So she decided to do just that: create a job for herself while also creating jobs for others — and making a difference for still more people. She founded Starlight Homes at 22, just a month after she graduated from college. 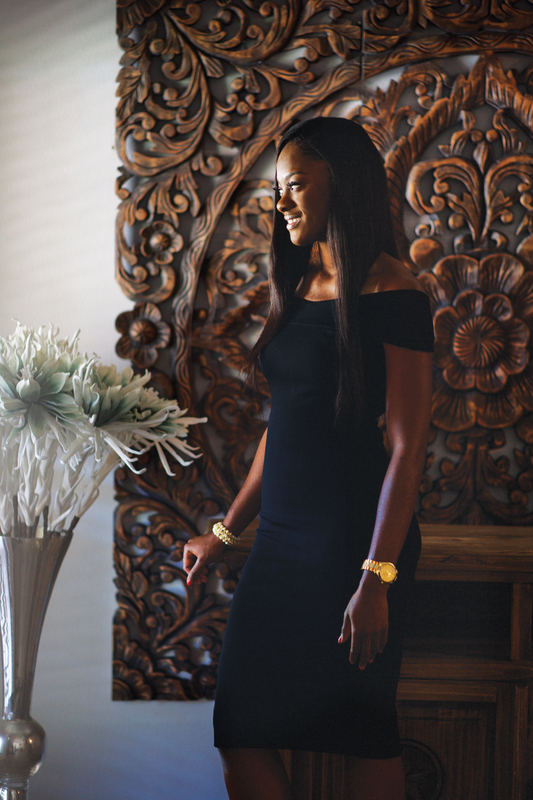 “Being young, if I fail, I still have time to catch up,” she explains. But for the hardworking young woman who loves competition, failure really isn’t an option, and her business choice wasn’t as random as it might seem. The spark to provide assisted living care grew from a strong foundation within her family — her mother’s career as a certified nursing assistant and her husband’s family’s loving care of his grandmother, the victim of a tragic accident that caused her to need care after her left leg had to be amputated. “Combining both experiences, I thought I could start something on my own,” she says. And Starlight Homes Assisted Living was born. However, McDonald doesn’t think about the future in detail. “I focus on right now and just take one day at a time. I want to continue to work hard. Everything will fall into place. It’s a matter of continuing to work hard and provide the best care we can,” she maintains. She recently went home to Jamaica to be the guest speaker at her former primary school’s graduation. The experience gave McDonald the opportunity to reflect on her life in Jamaica and where she is today. “I come from a very poor family in Jamaica. We didn’t have a lot of people who had a college degree or a formal education. Seeing young girls like me working to get their education — with that sort of motivation, they can achieve anything they want,” she says. Since her mother and sister also live in San Antonio, family time includes spending time with extended family, enjoying trips to the Texas coast and simple activities together. “You have to squeeze in time for yourself. Providing care for others is 24/7/365, but you still have to sleep, you still have to rest. And family time is important,” she says. 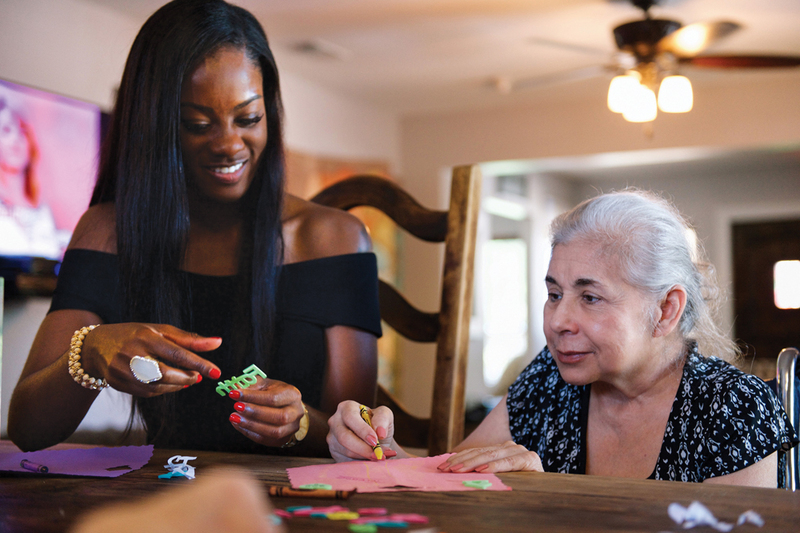 The post Andreen McDonald of Starlight Homes Assisted Living appeared first on San Antonio Woman Magazine.